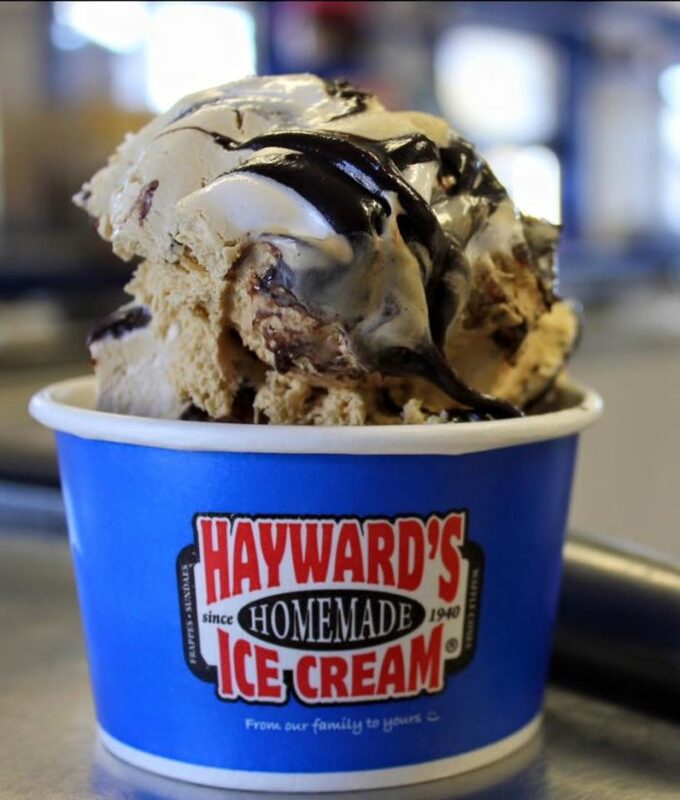 It’s hard to believe it with the chilly spring we’re having, but we’ve finally hit the best time of the year – ice cream season! 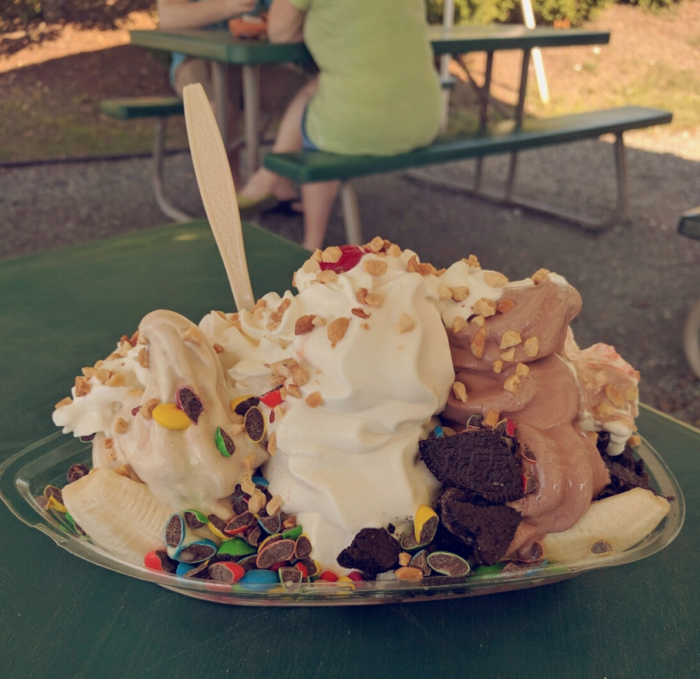 New Hampshire is chock full of amazing ice cream shops, and you’ll want to make the most of the months in which they’re open. Here are our favorite seasonal spots – time to get started checking them off your list! Jordan's rotates through over 200 flavors of ice cream (there are about 30 flavors available at any time) and they're all incredible. You can even get an ice cream for your dog! 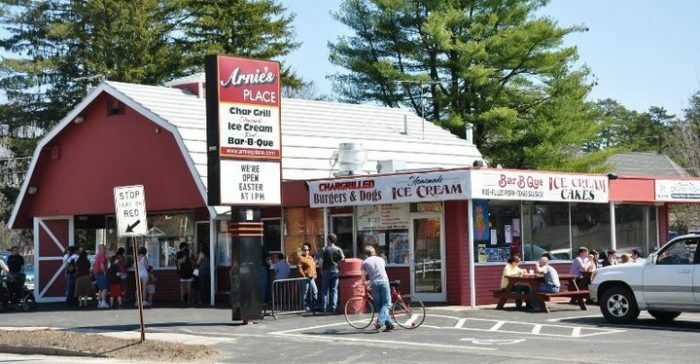 The main location is in Belmont, but there's one in Weirs Beach as well! 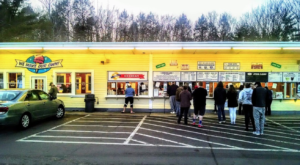 The Belmont location opened in mid-March, so hurry on over. 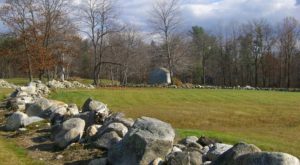 Learn more here and find it at 894 Route 106 N Belmont, New Hampshire 03220. 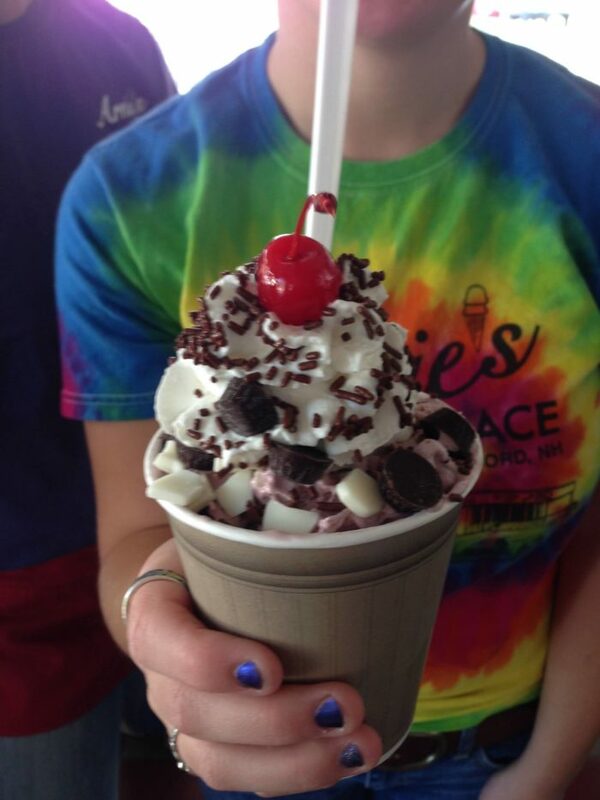 Upper Valley residents may come to Fore-U for mini golf, but the real reason is definitely the ice cream. 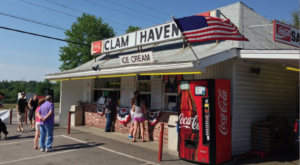 It's now open for the season, and you'll adore both the hard- and soft-serve flavors. 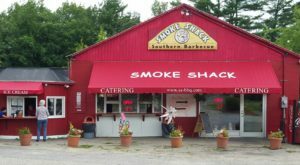 Visit at 298 Plainfield Rd West Lebanon, New Hampshire. 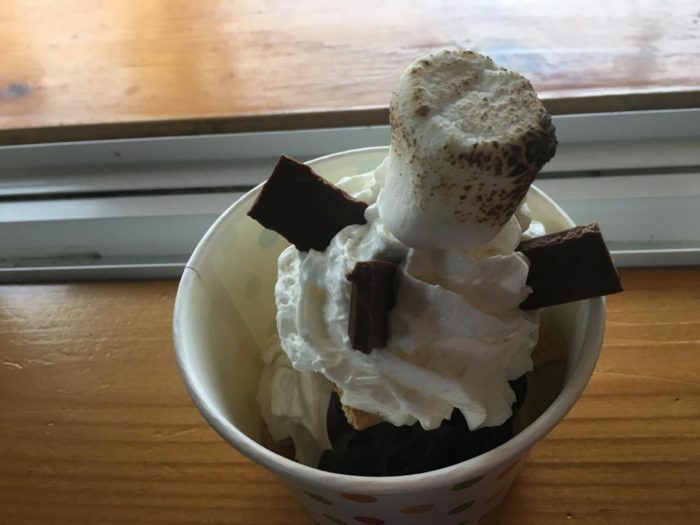 This North Country spot makes some darn good treats – don't miss the s'mores sundae! It's open May–October. Find it at 3 Partridge Rd Pittsburg, New Hampshire. 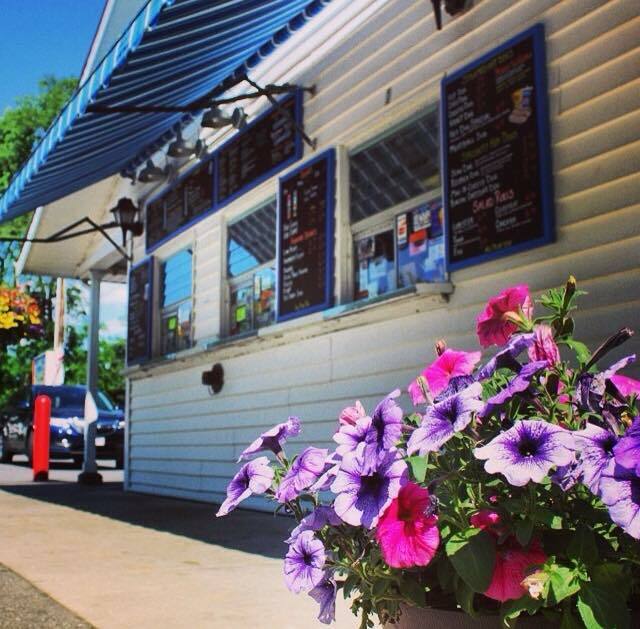 This sweet shop is just as adorable inside as it is outside – you'll love stopping in for a cone. 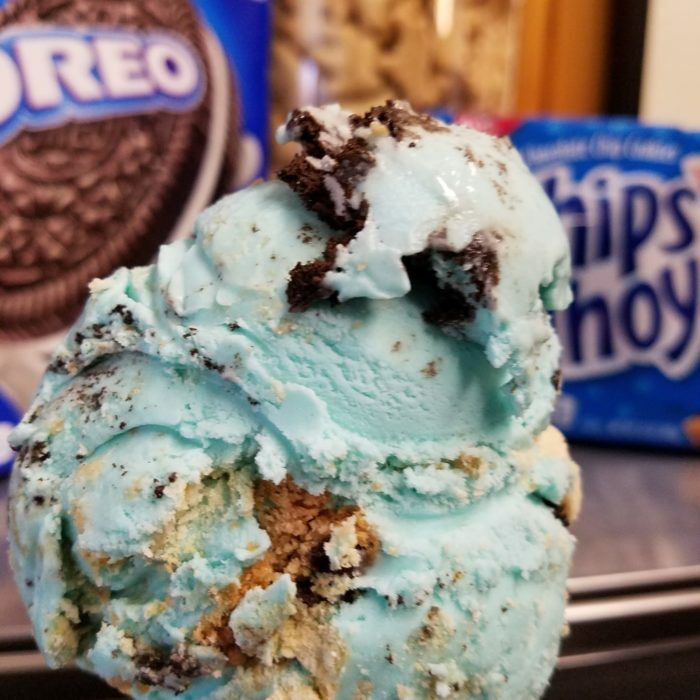 All of the ice cream is made in house! 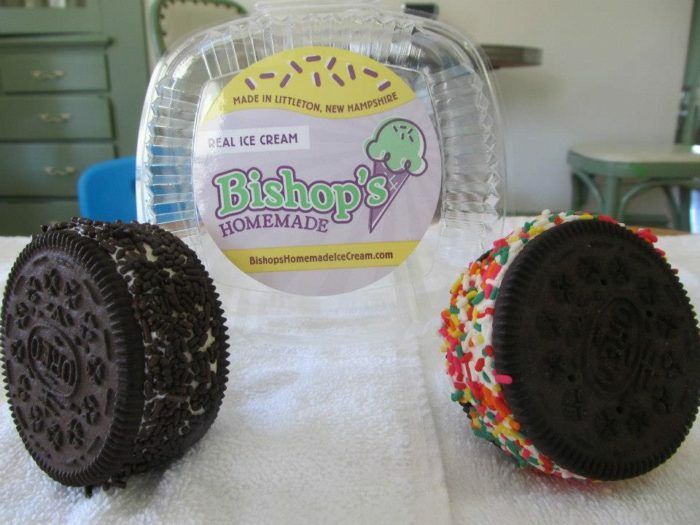 Or, better yet, try one of their incredible ice cream sandwiches – you won't regret it. Visit at 183 Cottage St., Littleton, New Hampshire. 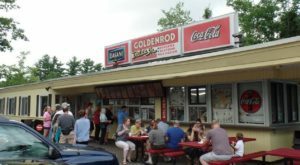 This seasonal spot is a barbecue restaurant plus an ice cream spot – and everything is amazing. 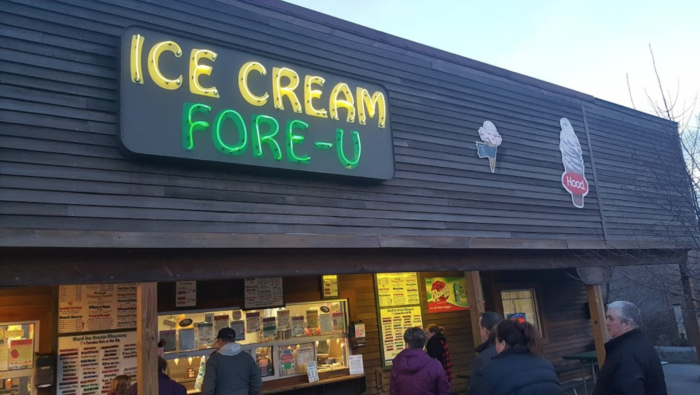 They make their ice cream right on site! 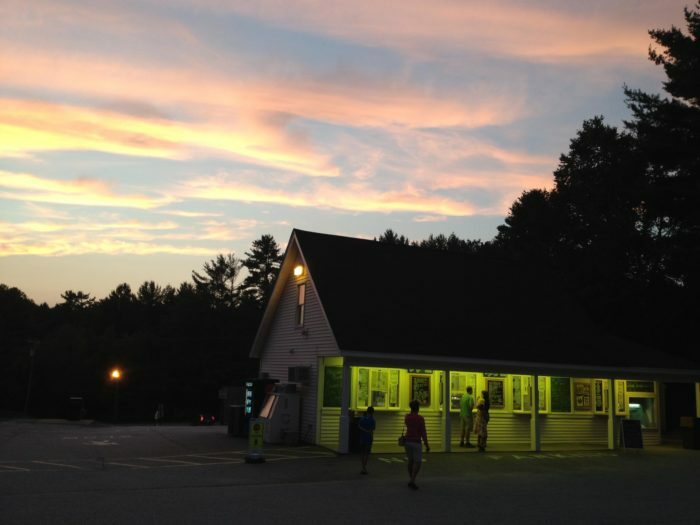 They're open for the season, and you can visit at 164 Loudon Rd, Concord, New Hampshire 03301. 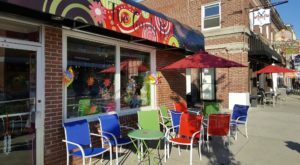 This Nashua spot has won tons of awards, and for good reason. 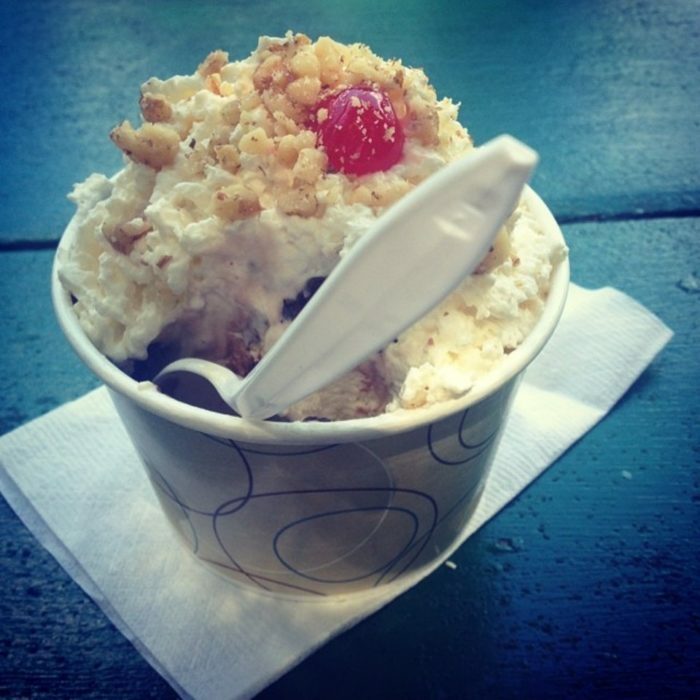 The homemade ice cream is scrumptious, and the flavors are varied and creative. Best of all, they're open for business! 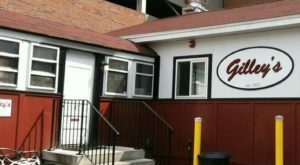 Visit at 7 Daniel Webster Hwy Nashua, New Hampshire. 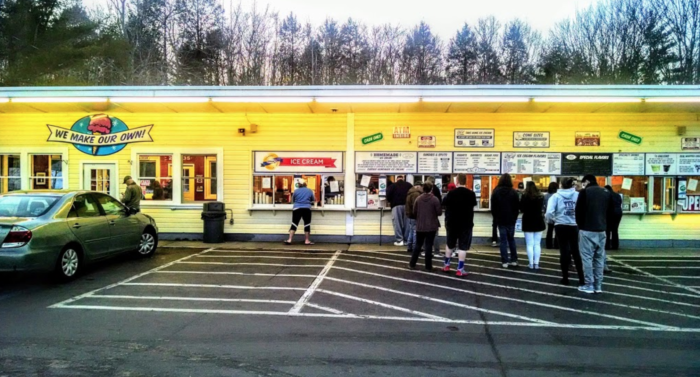 This beloved spot in Rye draws long lines, and for good reason! You'll love their inventive flavors and perfectly creamy consistency. 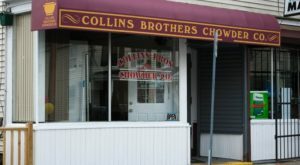 They're open, so stroll on by at 71 Lafayette Rd, Rye, New Hampshire 03870. Looking for something a little more savory? Check out this amazing sausage cart.